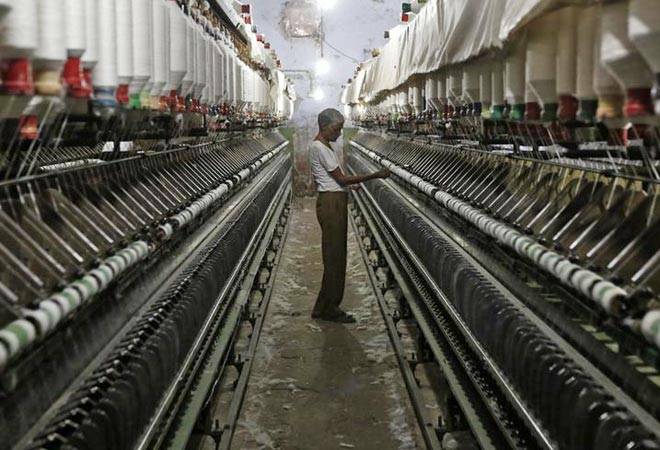 India's economy grew 6.1 per cent in the fourth quarter of FY17, slowing from a provisional 7.0 percent in the previous quarter, government data showed on Wednesday. India's economic growth unexpectedly slowed to its lowest in more than two years, dragged down by construction, manufacturing and trade services, and stripping the country of its status as the world's fastest growing major economy. Annual gross domestic product (GDP) growth for the January-March period came in at 6.1 percent, compared with a provisional 7.0 percent in the previous quarter, government data showed on Wednesday. The expansion was much slower than the 7.1 percent forecast by economists in a Reuters poll. It was also lower than China's growth of 6.9 percent for the first three months of 2017. "This data is closer to the ground reality than the previous ones," said Anjali Verma, an economist at PhillipCapital in Mumbai. The figure is the lowest since the December quarter in 2014, which registered 6.0 percent growth, Reuters data shows. For the 2016/17 fiscal year ending in March, New Delhi reported GDP growth of 7.1 percent, slower than an 8.0 percent expansion a year ago. The weak GDP data will be a setback for Prime Minister Narendra Modi, who completed three years in office last week. Wednesday's figures, however, have not changed expectations for monetary policy. Analysts still expect the Reserve Bank of India (RBI) to keep interest rates on hold. "We continue to expect the RBI to remain on pause, with any rate hikes ruled out," said Shubhada Rao, chief economist at YES Bank. Construction activity contracted 3.7 percent year-on-year in the March quarter compared with a 3.4 percent growth in the prior quarter. Manufacturing grew 5.3 percent in the last quarter from a year ago, slower than an annual rise of 8.2 percent in the December quarter. Annual growth in trade, hotels and transport services slowed to 6.5 percent in the January-March period from 8.3 percent a quarter ago.